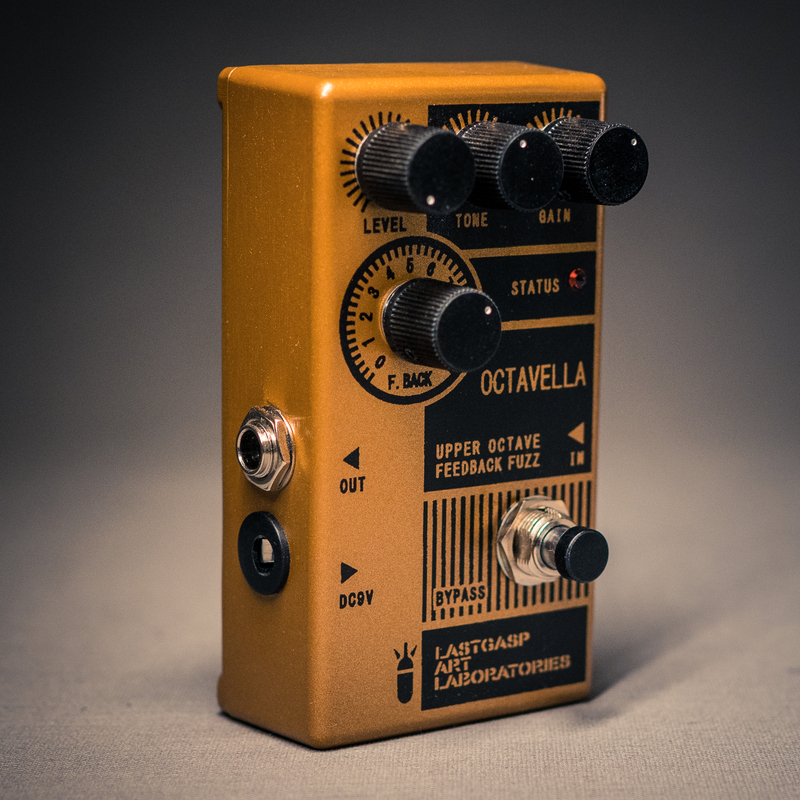 The “OCTAVELLA – upper octave feedback fuzz” (OC) is an upper octave fuzz pedal which creates fuzzy harmonic upper octave sound. Characterized by “screaky” metallic tone. The “OC” can feedback the upper octave sound internally to get a feedback sound. Also it can create a self oscillating sound. Price is ex. shipping. Please inquire for shipping quote to your destination. Price is including 25% Danish VAT. The "OCTAVELLA - upper octave feedback fuzz" (OC) is an upper octave fuzz pedal which creates fuzzy harmonic upper octave sound. Characterized by "screaky" metallic tone. The "OC" can feedback the upper octave sound internally to get a feedback sound. Also it can create a self oscillating sound.